For months there had been growing speculation across social media that Star Wars was finally going to make the leap to digital distribution, and be available as a video download. In fact Kenner recently announced are series of box collections of action figures called the Star Wars Digital Release Commemorative Editions which all but confirmed the release. Rumors also began to percolate that Disney was taking the Original Trilogy and restoring the films to their pre-Special Edition versions in spite of ample evidence this was not going to be the case. 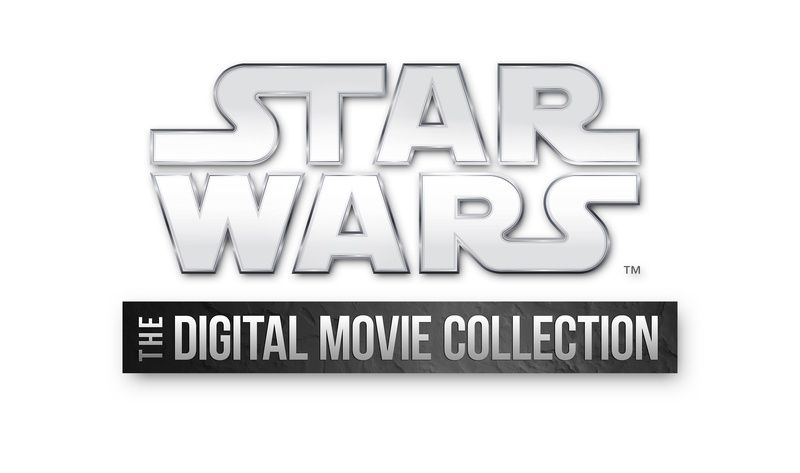 Finally, about a week before Star Wars Celebration Anaheim, Star Wars The Digital Movie Collection arrived. After some waffling about whether to buy the release I decided to make the plunge. The Movies: Contrary to what the Lucas bashers thought these are not new transfers of the film with restored versions of the Original Trilogy. These are in fact the same transfers from Lowry Digital that were authorized by Lucas himself for the 2011 blu-ray release. So if you hate blinking Ewok eyes, Vader’s new “Nooooo,” Han and Greedo shooting simultaneously then this probably isn’t the release for you. However if you are, like most Star Wars fans, looking for a solid transfer of all six films that you can watch in glorious high definition on your phone, tablet, PC, or gaming device, then this is the release you’e been waiting for. The transfers are very good. Sure there’s the occasional hiccup like Vader’s lightsaber having an overly pinkish hue at times, and Phantom Menace has clearly had Digital Noise Reduction applied to it, but the films have never looked better. What really surprised me was how well the detail of the image held up via streaming. The compression used on this release is quite good, and there’s very little artificial noise in the image. You of course also have the option to download to play directly on your device (I’ve not tried this option). Sound of course is outstanding as you would expect in a Lucasfilm release. One interesting tidbit though; this release portends a major change in the Saga going forward. Gone are the familiar strains of the 20th Century Fox drumroll and fanfare which would introduce each of the films. Obviously that was going to change going forward for the new films, but what Disney has done however is cobble together a fanfare from the closing credits of The Empire Strikes Back to introduce five of the six films. A New Hope is still owned by Fox, and for now, will be in perpetuity unless a deal is reached by Disney. SO the original Star Wars begins with its usual refrain, which I actually found a little odd after getting used to the change. I suspect John Williams will either compose a new fanfare for Disney’s Star Wars films, or may re-orchestrate the piece from Empire so it flows more smoothly because as it is it’s rather abrupt. NOTE: This release is available through multiple video on demand services like Vudu, iTunes, Google Play, Xbox Video, and Amazon Instant Video. However, be aware that due to rights issues, if you purchase the collection via the Disney Anywhere service, A New Hope is not included in the release so I would probably advise staying away from that service. Bonus Features: Each of the films also comes with a selection of bonus features. Most of these are culled from the 2011 blu-ray release, and a handful were exclusive features on starwars.com. 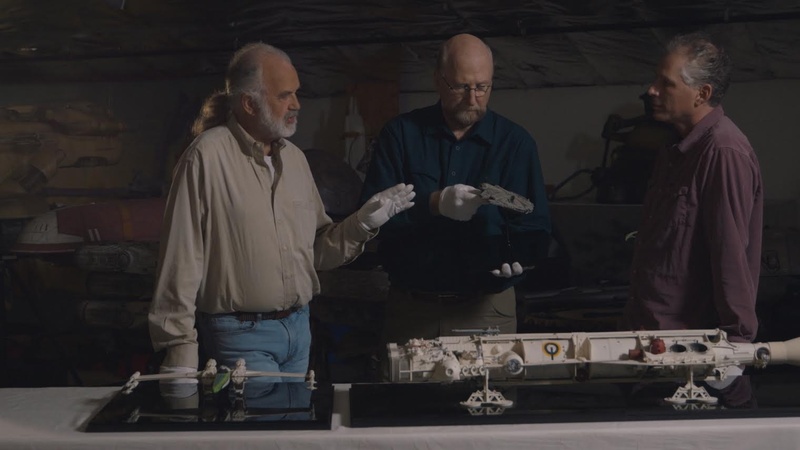 However each movie comes with two short features entitled, Star Wars Discoveries From the Inside which highlight historical Star Wars treasures from the Lucasfilm vaults, and Star Wars: Conversations which feature Star Wars contributors discussing their experiences working on the Saga. These new features are very good, unfortunately they are also very short. As a whole the bonus features are a mixed bag. 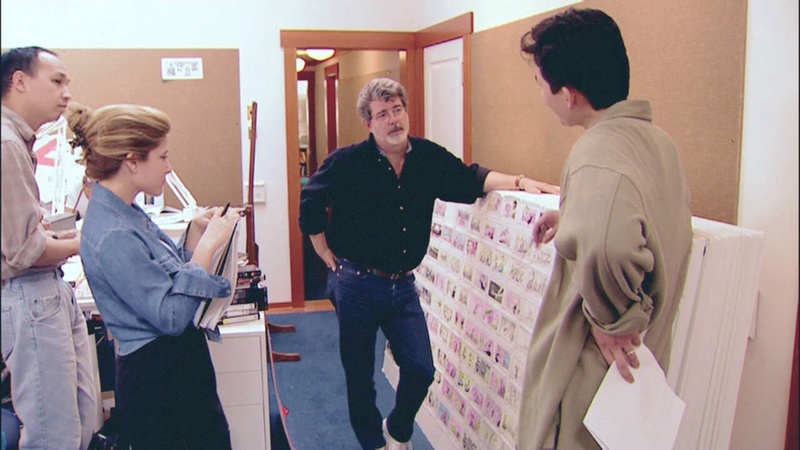 For example the Prequel bonus features include only some of the deleted scenes completed by Lucas for the DVD release, and these are only presented in pillarboxed 480p which is a big letdown. Additionally this release was an opportunity to possibly delve into some very good Star Wars documentaries which have never gotten a proper release such as From Star Wars to Jedi the Making of a Saga, and recent Emmy nominated Star Wars The Legacy Revealed. Neither release is included, and instead we are presented with a hodgepodge of selections from the DVD and blu-ray releases. However, let me be clear, it is a good selection, and it’s very nice that many of the Prequel Trilogy bonus features which were left out of the blu-ray release have been included. Bottom Line: While it is a nice convenience to have the entire Star Wars Saga available at the tip of one’s fingers via mobile devices, I’m not entirely sure this release warrants the $90 price tag. The collection of bonus features is certainly a nice value, but there’s approximately only one hour of new bonus content, and while there was clearly some effort put into the new features, there’s nothing particularly revelatory or “new” here. The bonus materials come across as a “best of” selection of features from the blu-ray set in addition to some starwars.com exclusives. So for someone like me who has collected nearly every iteration of Star Wars on home video, there’s really not much to recommend about the release unless you are strictly looking at the purchase as a means to have Star Wars on the go, or a completist. 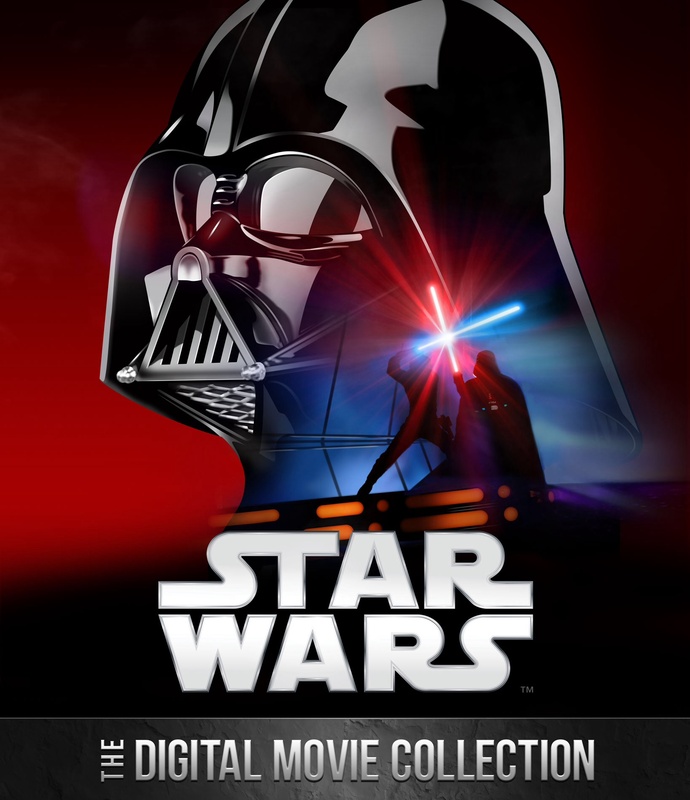 If that’s the case then I highly recommend the Star Wars Digital Collection. It looks great and the quality of the HD presentation is very good compared to other digital download movies; and of course like every Star Wars release the sound is top notch. However, if you are someone who has yet to pick up the blu-ray release of the Saga, or has not made the jump into high definition for your HDTV, then I would definitely recommend this release. Again, it’s a great presentation, and the bonus features are an extra plus for Star Wars fans who may still be holding on to their DVD collection. Overall I’m happy with my purchase… sure I might have liked MORE bonus features, but what fan doesn’t. but it’s nice to have the Saga available for those times I might be waiting in line, or on my lunch break, or away from home. I’m sure my grandson will get plenty of enjoyment from this release so all in all it was a good buy!